Hyperlink is a magazine for brands looking to connect with an audience, to create authentic bonds with casual shoppers who will eventually become loyal fans. It is a magazine for consumers who think critically about where and why and how they spend their money and, more importantly, their attention. Our second issue covers topics that affect how we conduct our businesses and our lives online, including climate change, voting systems, and the persona of the whistleblower in our modern coluture. We also feature popular brands like Nintendo and ConvertKit. 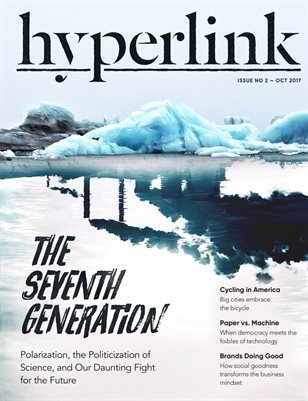 Welcome to Hyperlink magazine, a starting place for conversations about the culture of commerce and connected engagement. Get your copy today and join the conversation.